In the latest revelation certain to reignite accusations of collusion between the Clinton campaign and the DOJ, among the recent batch of hacked emails released by Wikileaks, we learn that one day after Hillary Clinton’s Benghazi tesimony last October, John Podesta, Hillary’s campaign chairman met for dinner with a small group of well-connected friends, including top DOJ official Peter Kadzik. … sometime within the 6 days after a call with “President Clinton’s Staff,” the server was wiped clean using BleachBit despite the subpoena from the House Select Committee on Benghazi received weeks earlier on March 4, 2016. 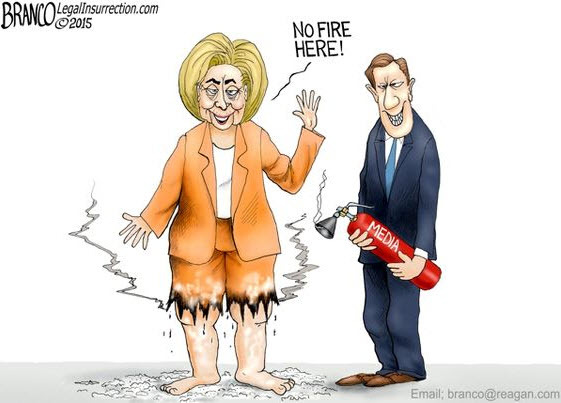 With Hillary Clinton continuing her run of days without a press conference, the nation is growing increasingly concerned as day after day more headlines – from even the mainstream media – cast shadows over her actions as Secretary of State. With more records reported to be released tomorrow, AP reports another nail in the coffin of Clinton honesty today as The State Department is forced to admit that The FBI has discovered dozens of emails related to Benghazi that Clinton failed to hand over. 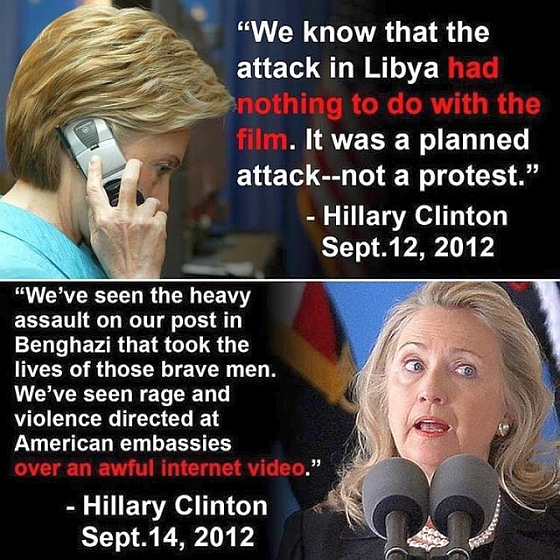 As AP reports,The State Department says about 30 emails involving the 2012 attack on U.S. compounds in Benghazi, Libya, are among the thousands of Hillary Clinton emails recovered during the FBI’s recently closed investigation into her use of a private server. 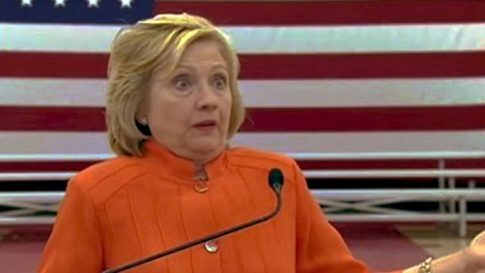 Democrat nominee Hillary Clinton may have thought she could breathe a sigh of relief when FBI Director James Comey did not recommend charges be filed against her in connection with her unprecedented secret server set-up, but she hadn’t counted on federal judges, who are not quite as forgiving. 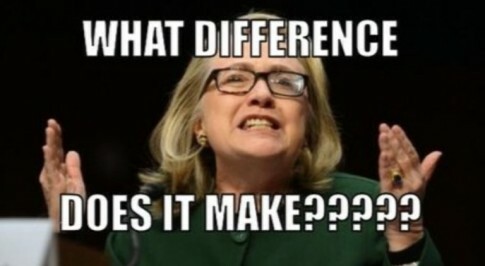 U.S. District Court Judge William P. Dimitrouleas has ordered the State Department to search 14,900 newly found Clinton emails to determine if any are responsive to requests in a Judicial Watch Freedom of Information Act (FOIA) lawsuit filed last year. 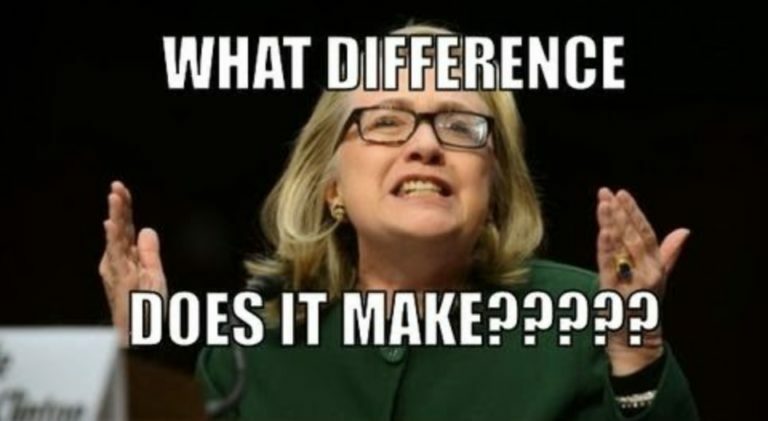 Perhaps in indirect response to the Kahn family attacks on Donald Trump, Pat Smith and Charles Woods, parents of Sean Smith and Tyrone Woods who were killed in the Benghazi terrorist attacks on September 11, 2012, have filed a lawsuit against Hillary Clinton alleging, among other things, that her “negligent and reckless” actions with regard to her private email server resulted in the “wrongful death” of their sons. The lawsuit, filed in the District of Columbia, also accuses Clinton of “defamation” and “intentional infliction of emotional distress” as they claim she has launched a “smear campaign” against the Plaintiffs in an effort to cover up the facts and save her Presidential campaign. While discussion of how Stevens was killed, how he was killed, or if anyone knew what was going to happen to Stevens is outside of the scope of this article, the question of whether or not it was known that Stevens was essentially working as a conduit between terrorists in Libya and those in Syria, as well as a facilitator of arms to those terrorists, is well worth mentioning. Indeed, it is important to note that documents obtained by Judicial Watch from the Department of Defense and Department of State reveal that the Obama administration as well as the State Department, i.e. Secretary of State Hillary Clinton, were all well aware of the fact that weapons were being shipped to terrorists in Syria via Benghazi, Libya.